"I’m an award-winning freelance magazine and book designer currently in a love-hate relationship with London. I’ve worked for and with clients such as Rankin, MagCulture and Rolls Royce and was awarded a membership to the International Society of Typographic Designers. 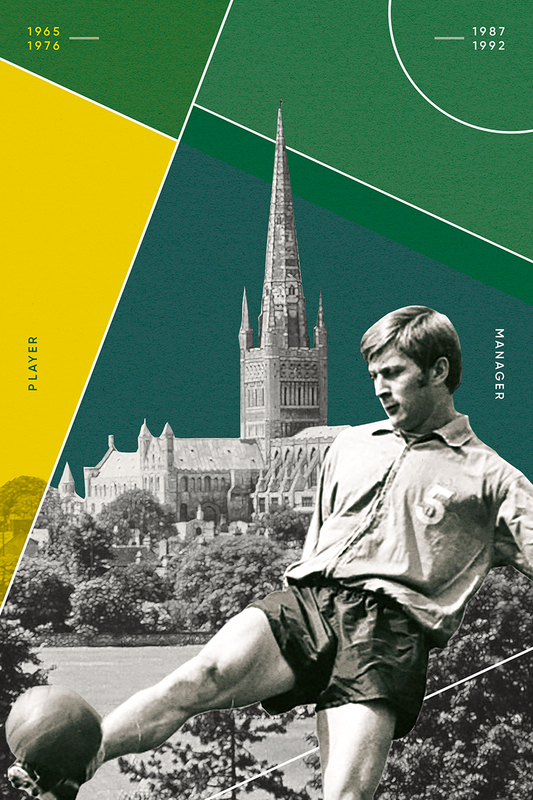 A lot of my work is based around telling people’s stories in a conceptual manner and this piece of artwork for OTBC is a digital collage created for former Norwich City player and manager Dave Stringer. Having been known as Mr. Norwich I wanted to create an artwork that was iconic to Norwich. When talking to others about Norwich one of the many things that pops up is the vast amount of churches and cathedrals, this is why I’ve used one within my artwork. 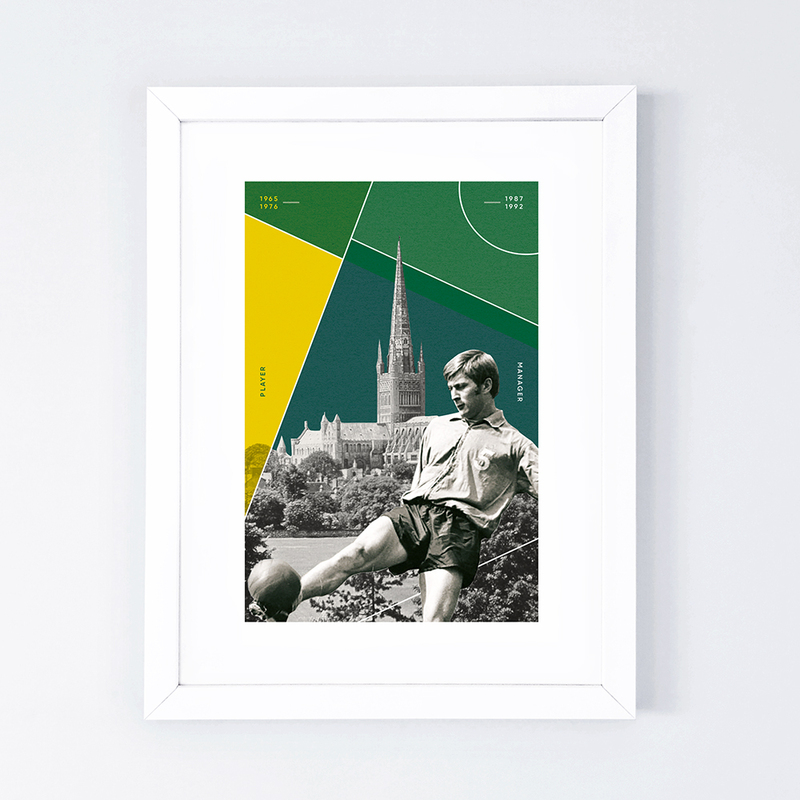 I didn't want to be too literal with my artwork but I thought the cathedral was a good metaphor for how people think and act towards football, linking the place of worship and holy nature to how fans look up to and respect players and their team."